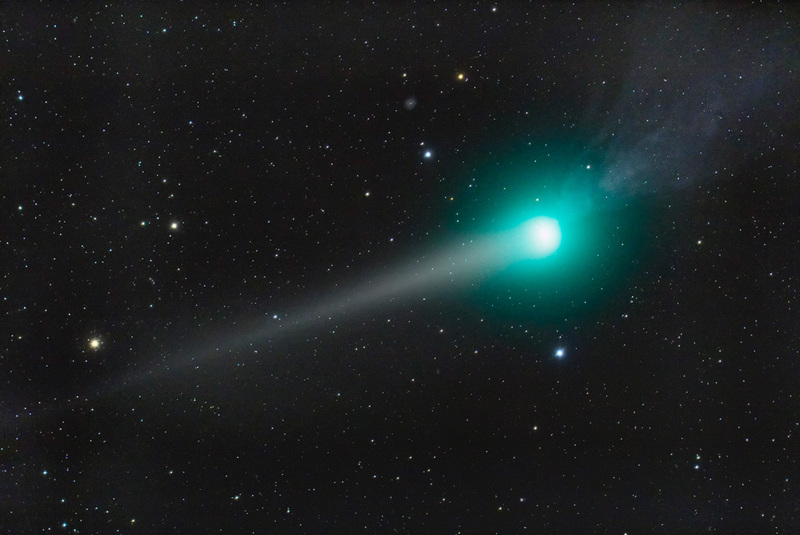 If you haven’t heard about it, the comet Lulin has been very close to Earth for the past few days. Morah and I wanted to see it, but every morning and every evening it has been cloudy outside, and usually raining (or, as was the case this morning, snowing). The one chance I had to see Lulin was yesterday morning at 2 A.M. on my way back to bed after using the bathroom. I happened to look out at the sky and saw stars. I had hoped that the skies would stay clear for just a couple more hours, but when the alarm went off at 4:30, the sky was once again obscured. 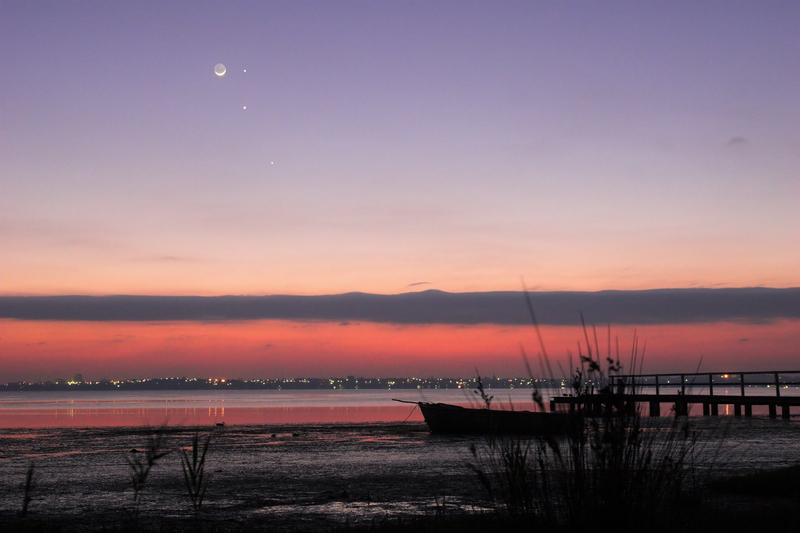 Another outer-space event that we’re missing is the clustering of Venus, Jupiter, and Mars (as well as our moon). With these heavenly bodies appearing in the morning, and Saturn hanging around at night, star gazers in areas not polluted with clouds have the chance to see 4 planets and a moon in a single day with their naked eyes (5 planets if you look down at the ground and then count ours). Were any of you lucky enough to see either of these, or am I the only one dorky enough to even know about them? I haven’t been watching PBS lately so I’ve been misseing the crazy astronomy guy, who is pretty good at keeping me up to date with can be seen in the sky at night. Although I do vaguely remember hearing about the four planets thing somewhere but I can’t remember where. Anyway the clouds are now ruining the night as well as the day we should really take up a campaign against clouds ruining aesthetic spectacles in the sky. Bastards!